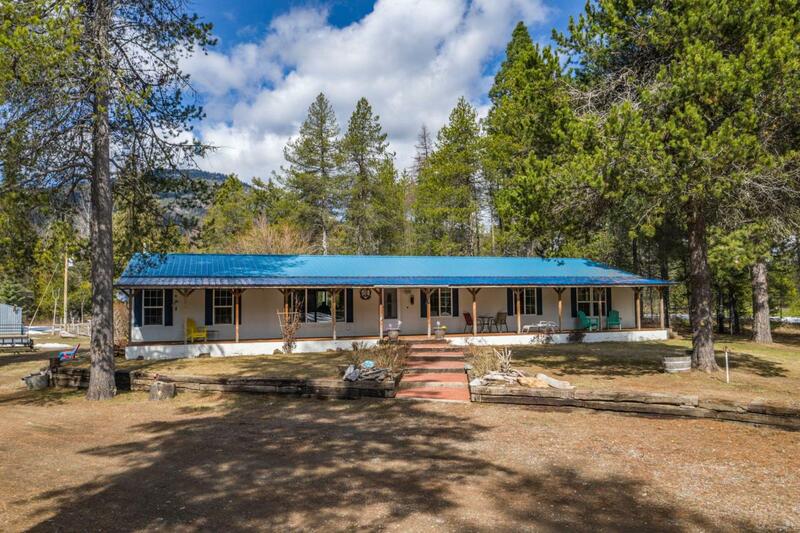 This home on 18 acres is sure to please. The well maintained spacious 4 bed, 2 bath home feels airy and light. The large family room has plenty of windows to watch the wildlife. Set back from the road with a long driveway, you will be peaceful and content sitting in your hot tub star gazing. A second small mother in law quarters - 1 bed, 1 bath, brings in $600 a month and is nestled in the trees away from the house. The many outbuildings will give you lots of room for your cars, animals, toys & hobbies and you'll still have plenty of storage. A tree house for the kids, seasonal pond for the ducks, and flat usable land has something for everyone. There are very few properties available that are move in ready with all the amenities on your wish list. Call for an appointment today!